Changing expectations from business-to-business (B2B) buyers are driving B2B companies to develop and grow their ecommerce portals. Although the industry is expanding year over year, it is still in the early days of development. Companies considered leaders in their field are making most of the investments in B2B ecommerce sites. Most organizations are still figuring out the basics of strategy and development. 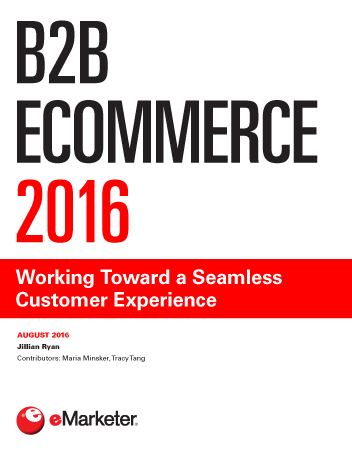 A seamless customer experience is important for a successful B2B ecommerce site. Starting with a simple portal and building upon it will not only appease buyer expectations in the short term, but it can help set a company apart from the competition. As a self-service portal, B2B ecommerce sites aim to offer the same experience retailers offer to consumers. These include front-end features like personalized journeys, search functionality, product content, recommendations and mobile access. The back-end account management functions of the B2B ecommerce experience are much more complex than the business-to-consumer (B2C) world. Customization is critical for pricing, payments, billing, reporting, analytics, order management, workflow approvals and post-sale support. Technological and organizational integration are vital so that there is no channel conflict. "Only 21% of B2B professionals worldwide polled by Econsultancy and SAP Hybris in November 2015 agreed their company’s ecommerce is available “anytime, anywhere” across brands, devices and regions."